Apex Legends takes its Battle Royale style cues from games like PUBG and Fortnite and mashes them together with Overwatch hero selection style for picking characters. Raking over 10 million players in just a few days of its release, Apex Legends is all set to give PUBG and Fortnite a run of their money. Apex Legends is a free-to-play battle royale game set in the Titanfall universe. The game is currently available on PS4, Xbox One and PC platforms with over 1 million concurrent players. Apex Legends takes its Battle Royale style cues from games like PUBG and Fortnite and mashes them together with Overwatch hero selection style for picking characters. Developer Respawn has made Apex for than a run-and-gun shooter, giving characters more depth through origin stories. The game features a total of 8 different playable characters in 3 different roles – offensive, supportive and defensive. Each character has their own set of abilities – Passive, Tactical and Ultimate. An important thing to note is that only six of the eight characters are available for free in the game, the two others require the purchase of a premium pass. Once a character is selected players are thrust into the game in teams of three to compete against 20 other 3-player teams. 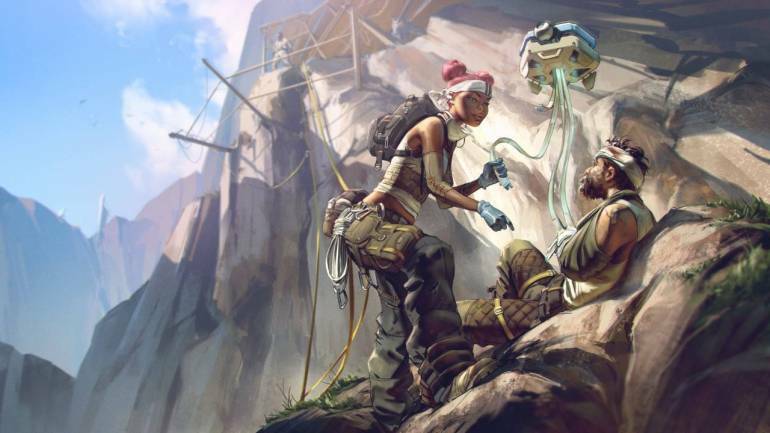 Life after DeathUnlike other Battle Royales, Apex Legends allows you to revive allies once they are killed. Although the process of reviving an ally isn’t an easy one, as it can easily expose your position, it’s still a neat feature to have. Apex Legends has managed to perfectly capture PUBG-style Battle Royale weapon displacement and action with Overwatch-style character ability and backstory to offer a pretty-much complete experience.